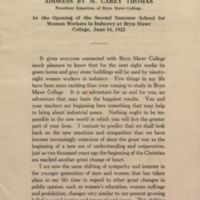 Address by M. Carey Thomas, President Emeritus of Bryn Mawr College, At the Opening of the Second Summer school for Women Workers in Industry at Bryn Mawr College, June 14, 1922. 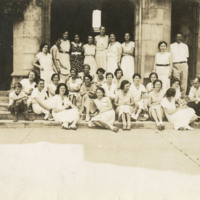 Students sitting for a group photograph on the lawn. 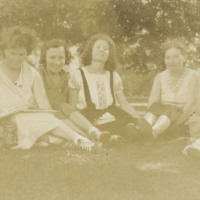 Two women are reading from a book. 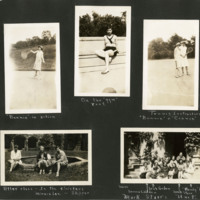 Gift of Helen Herman, March 1986. 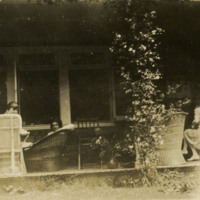 Women sitting on a porch. 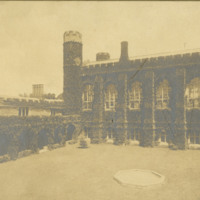 Gift of Helen Herman, March 1986. 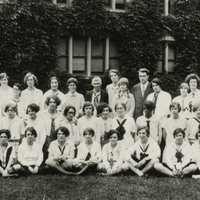 Panoramic group portrait of the SSWWI class of 1926. 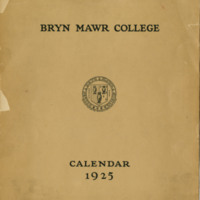 This is a copy from a larger original. Mary Jane (?) 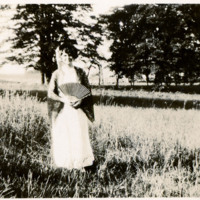 Gillmore wears a traditional folk costume and holds a fan. 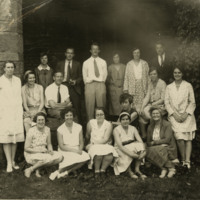 Gift of Doris Belchamber.